The President's Own is celebrating its 220th anniversary this year and will preform an anniversary concert at the Strathmore Music Hall in Bethesda, Maryland. 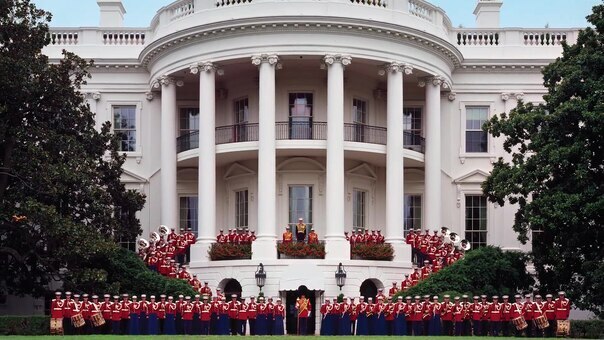 Their mission is to provide music for the President of the United States and the Commandant of the Marine Corps. This work, President's Own, by Cpl Taryn Escott, identified by DVIDS, must comply with the restrictions shown on https://www.dvidshub.net/about/copyright.